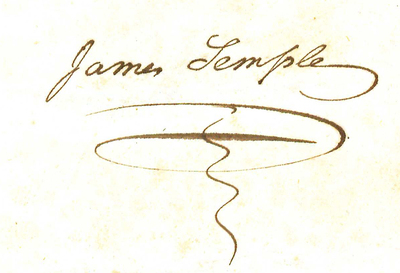 James Semple, a Judge in the General Court of Virginia from 1809-1834, was appointed professor of law at the College of William & Mary in 1819. Semple had served in the Virginia House of Delegates from 1797-1798 and 1801-1809, and would serve again as a member of the legislature from 1822-1823. Semple remained a professor at William & Mary until his death in 1834.